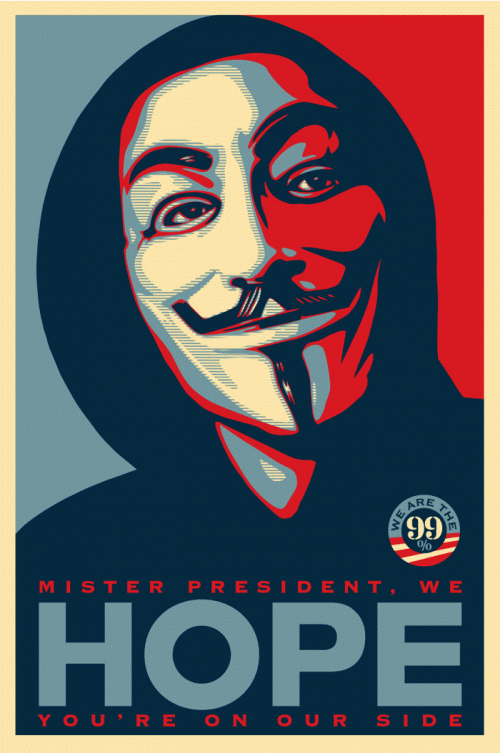 "Mister President we HOPE you're on our side..." Shepard Fairey's latest poster in support of Occupy Wall Street (#OWS). Courtesy of Time.com. Early last month, my friend and colleague Andrew Golledge and I took a trip down to Philadelphia, PA to take part in the yearly academic conference hosted by the Mid Atlantic Popular and American Culture Association (MAPACA). In addition to serving as a panel chair, I presented a paper on American film comedies released in the aftermath of the Great Recession, in which I discussed how certain comedies captured the zeitgeist of our current era, one defined by widespread frustrations with both our society’s class inequality and class immobility. In essence, I spoke about how these comedies, though meant to be funny, really expressed how most of the middle and working classes, because of the economic climate and the growing income gap with the wealthiest citizens, have come to see the once closely held belief in the American Dream as something of a delusion. The next day, with our presentations out of the way, Andrew and I explored the city, and made a specific point of visiting the settlement for “Occupy Philly,” the Philadelphia branch of the Occupy Wall Street (#OWS) movement established just outside the City Hall. Having yet to see the original New York version, I wanted to witness the movement firsthand, and see the kind of people who were actively protesting the same issues that I myself had only written about. The most prominent banner on display at Philly's occupation site. Photo by Andrew Golledge.